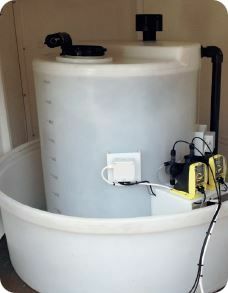 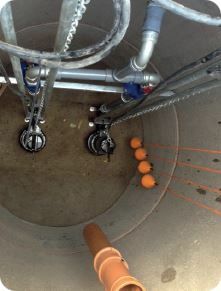 We were one of the first companies in the UK to commercially operate a laser guided system and continued in leading the market sector by being the first land drainage contractor to install plastic land drainage coils in the Midlands area. 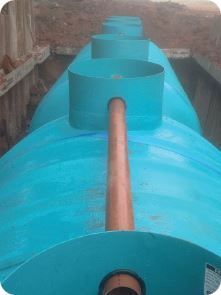 From agricultural land drainage schemes, gallop and track drainage, golf course drainage, to sports field drainage we offer the complete package and have a string of client endorsements in this field. 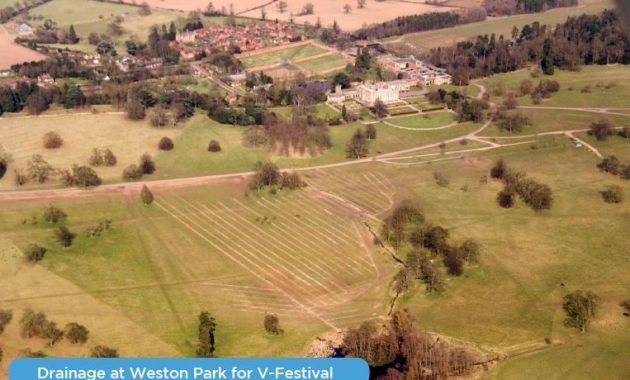 We are proud that we have been involved in many specialist land drainage schemes including projects for the V-Festival site at Weston Park, Staffordshire and Cream Festival site at Daresbury Estate, Warrington. 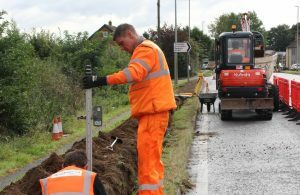 We have also carried out a series of deep dig storm water replacement schemes for Staffordshire Highways Authority in partnership with Enterprise PLC.